Ray Williams, Swinomish elder, relates his formal names as Squi qui, which comes from his mother’s mother and dates back through his Coast Salish blood line into time immemorial. He also carries the Sa’atil name, which comes from his father’s father and covers him in his travels, also Coast Salish. Ray considers it his good fortune that his elders continue to teach, advise and instruct him in the ways of his culture and ceremonial lifeways, and also support his efforts to serve as a bridge toward healing amongst all Peoples. Ray is a board member of The Seventh Generation Fund, which is dedicated to promoting and maintaining the uniqueness of Native peoples and the sovereignty of tribal Nations. His work in this area was recognized through an International Peace Award from Pax Christi in 1993. Ray Williams, Swinomish elder of the Coastal Salish, has spent years serving as a bridge between people of seemingly disparate spiritual paths. 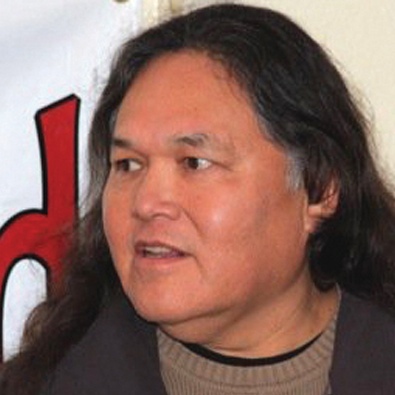 He also served on the Swinomish Tribal Council and is an active member of the traditional longhouse ceremonies. Ray has participated in many ceremonies and conferences throughout the US and Canada, including Ancient Wisdom Rising 2012, and the Wisdom of the Elders Storytelling Festivals.